After studying medicine at Harvard George Parkman was a pioneer in mental health and helped usher in changes to mental asylums in New England. As he got older, he turned his attention to real estate and the dozens of rental properties around Boson that he rented out to low-income families. In 1949 Parkman loaned Dr. John Webster, a professor at Harvard a substantial amount of money. Webster was undergoing some financial hardships and been forced to move out of a large mansion he built in Cambridge. Parkman was known to be a shrewd businessman and attempted to get his money back from Parkman on several occasions. Each time Webster put him off, but the morning of November 23, 1849, Parkman had all he could stand. Parkman threatened to tell Harvard about Webster’s debts and money problems. If Parkman couldn’t get his money, he would ruin Webster’s good name. Webster was furious at Parkman’s underhanded threat and stabbed him with a knife that was in his desk. Parkman fell to the ground, bled out and died in Webster’s office. Webster chopped up and burned Parkman’s body and threw it in a privy, which was basically a large outhouse that was located in his office. The next day Parkman’s family alerted the authorities that he was missing. Police searched Harvard Medical School and didn’t find anything. After a few days the school janitor, Ephraim Littlefield noticed that Webster was acting strange. He had seen Webster and Parkman arguing recently and suspected that Webster might have done something to Parkman. One night Littlefield broke into Webster’s office and discovered some remains in the privy, where the police had not searched. Webster was arrested and put on trial for murder. Due to the social stature of both men, it was billed as ‘The Trial of the Century.’ Over 60,000 people descended on the court to try to get a peek at Webster. Webster tried to argue that the body in his privy was a cadaver that he and some students had recently dissected. However, Parkman had special dentures made, and when his dentist testified in court, it sealed Webster’s fate. Webster was sentenced to death. He tried to appeal the decision and changed his story. Webster tried to argue that Parkman became violent over the unpaid debt and attacked him prompting him to act in self-defense. It didn’t matter. Webster was a dead man walking. On August 30, 1850, he was hanged at the Leverett Street Jail and buried at Copp’s Hill Burying Ground. After the trial, it was revealed that Parkman had donated his home and five million dollars to be set aside for city parks such as Boston Common. 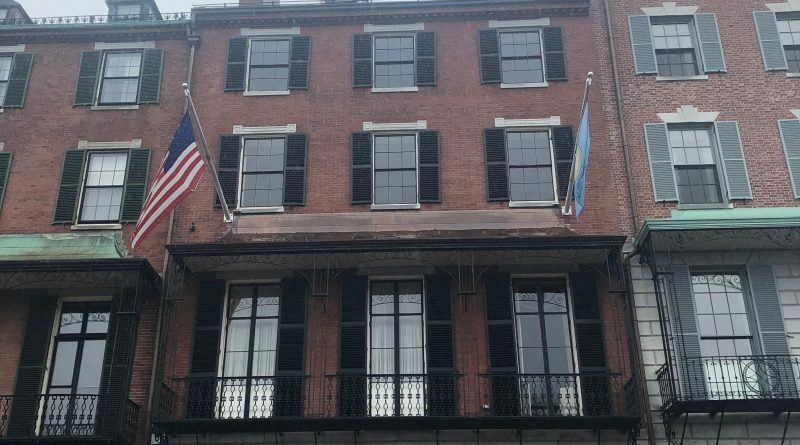 Even though Parkman didn’t die in his home on Beacon Street, many believe that his spirit decided to stick around to make sure it has been taken care. People who have been to the home tell stories of doors that open and shut on their own and lights that turn themselves off and on. 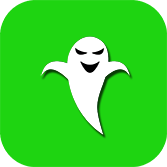 Find out more about the Parkman House and over 40 other haunted locations in Boston with the Boston Ghost Map in the iTunes App Store for only $1.99.